With the costs to import fruit and veg increasing and Brexit on the horizon, the industry has seen a growth in British growing. 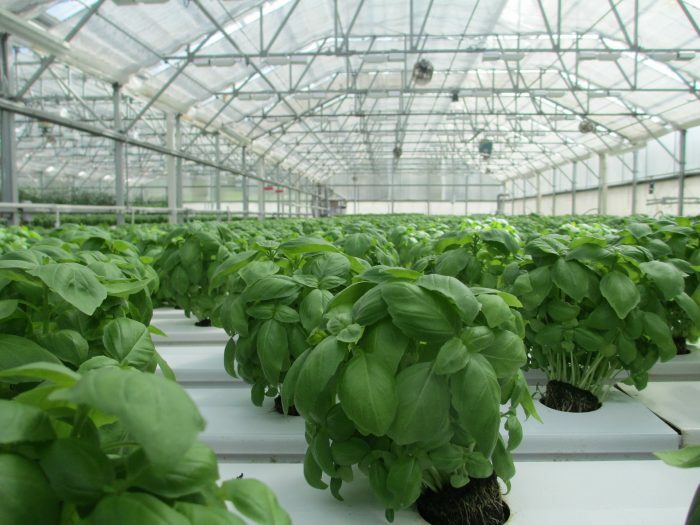 However the costs of energy to heat greenhouses across 400 acres of land can be astronomical and the growth of green energy has also seen an increase with the use of open and closed loop ground source heating systems. British Growing is a significant part of the overall food manufacturing sector with crops being produced across the UK. Peas, herbs, tomatoes, carrots and fruit can all be grown in the UK with the use of large commercial greenhouses. Farms are struggling with extreme droughts and rising water costs. Climate change and droughts have reduced the available surface water flowing from mountain ranges to irrigate crops. Farmers have had to resort to pumping water from underground aquifers. Finding a sustainable solution is also a long term consideration and has both environmental and economic impacts for any business. Sustainability does not mean that we should not use the natural resources that we have such as the soil, water and energy which are finite but rather that we use them responsibly and wisely. Home produced vegetables were worth £1.6 billion is 2016 and saw a growth of 7.5%. At the start of 2016 conditions for growers were good in the UK however weather conditions hampered the planting of crops and reduced sizes and volume. Some growers have invested in purpose built greenhouses with irrigation systems and heating systems to combat the UK Weather. One such grower has built a massive new greenhouse in Suffolk and is supporting the growth of British Tomatoes rather than importing them from Holland, Spain and Morocco. Herbs– the majority of herbs are grown for essential oil extraction and herbal medicines and the main varieties are Basil, Coriander, Mint, Rosemary, Thyme and Chives. Carrots– 731,000 tonnes of carrots are grown in the UK and are harvested almost every month of the year. Leafy Salads such as watercress and salad crops account for 122,000 tonnes. Tomatoes– Premium tomatoes such as those grown on the vine are driving growth in the market and we produce around 75,000 tonnes per year. Other crops include cucumbers, peppers, Asparagus, Brassicas, Onions and Fruit such as Rhubarb and Apples Soft fruit has seen an increase in sales since the season can be extended with the use of glasshouse production. Traditionally soft fruits were only produced six weeks of the year but now can be harvested more with the introduction of polytunnels. Agriculture is the largest global consumer of freshwater. The term “water footprint” measures the volume of evapotranspiration (ET) or water use of a crop per unit mass of yield. To produce 1KG of fruit and vegetables water is needed in vast amounts. Olives use 4400 litres while bananas use 800, apples 700 and lettuce 130 litres. By using the latest technology and recycling water, oxygen, carbon dioxide, and nutrients growers are able to encourage growth of the high-quality fruit without causing major damage to the environment. Irrigation is perhaps one of the most important factors in growing and the cost of a mains supply for such an intensive operation can be enormous. Investing in a borehole can be a long term solution and most farmers and growers find that it pays for itself with in a few years. Geothermal energy for greenhouse heating has been common practice for nearly a hundred years but ground source heating has seen an increase in recent years. The source is basically thermal water with temperatures between 40 degrees C and 80 degrees C. Ground source can be used for both heating and cooling and therefore can meet the demand of keeping a constant temperature in winter and cooling in summer. Drilcorp have over 27 years of experience in the Borehole Drilling Sector and have a specialist Geotechnical Exploration Division which looks after Geothermal Energy Boreholes. Ground Source heat pumps use different heat sources such as solid, liquid or gas. The most popular are using groundwater from a nearby aquifer. The temperature produced is nearly constant all year round at around 11 degrees. These systems need both a production well and a re-injection well. Ground source heat pumps (GSHPs) use pipes that are buried in the land to extract heat from the ground. A ground source heat pump circulates a mixture of water and antifreeze around a loop of pipe, called a ground loop, which is buried in the surrounding land. Heat from the ground is absorbed into the fluid and then passes through a heat exchanger into the heat pump. The ground stays at a fairly constant temperature under the surface, so the heat pump can be used throughout the year. The loop can be horizontal or vertical. Deep vertical boreholes can draw more heat from the ground. This type of system uses well or surface body water as the heat exchange fluid that circulates directly through the GHP system. Once it has circulated through the system, the water returns to the ground through the well, a recharge well, or surface discharge. This option is obviously practical only where there is an adequate supply of relatively clean water, and all regulations regarding groundwater discharge are met. A borehole can also be used as a water source for irrigation and can be connected up to a drip irrigation system. 20,000 litres per day can be extracted without the need for a Licence from the Environment Agency. 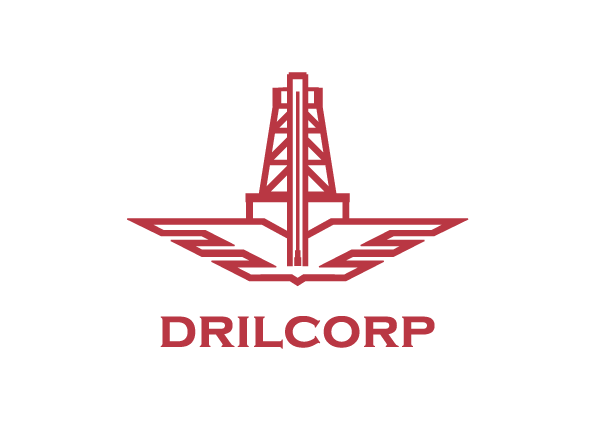 Drilcorp can assist with all licencing requirements. The handbook also includes sections on the UKIA and its work; working together in Water Abstractor Groups; topical articles on current irrigation issues such as licensing and managing drought; and a technical section including basic hydraulics, pipes and pumps, designing and managing irrigation systems, improving irrigation efficiency, water auditing, reservoirs, and irrigation agronomy of fruit and vegetables. It is available free to UKIA members or can be purchased at www.ukia.org. Information regarding obtaining a licence for water abstraction can be found below.